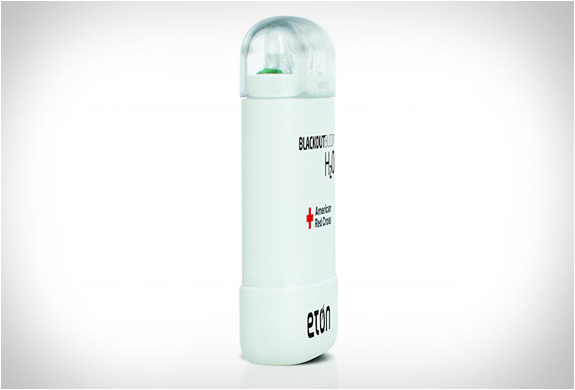 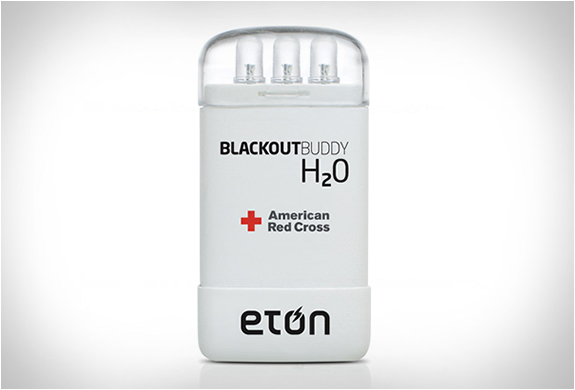 The Blackout Buddy H2O by Eton, is a water-activated, emergency light, no batteries required! 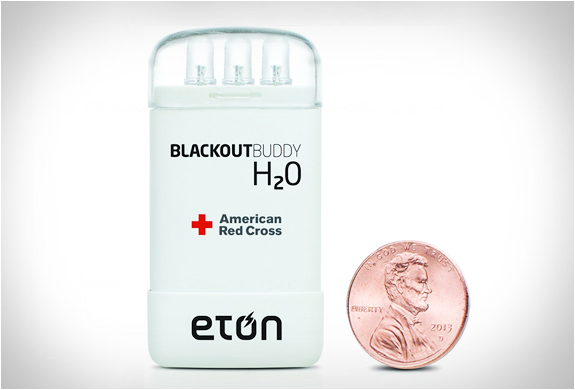 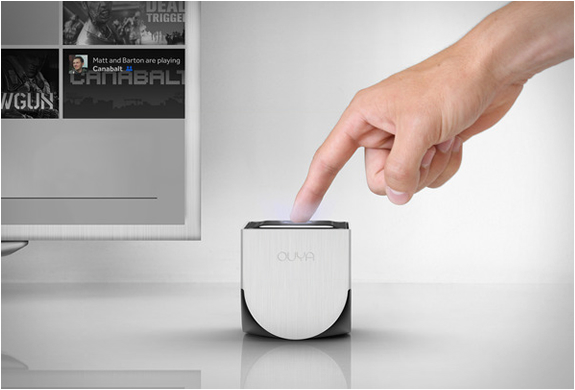 All you need to do is add a small cup of water to activate the battery module and light the way continuously for up to 72 hours! 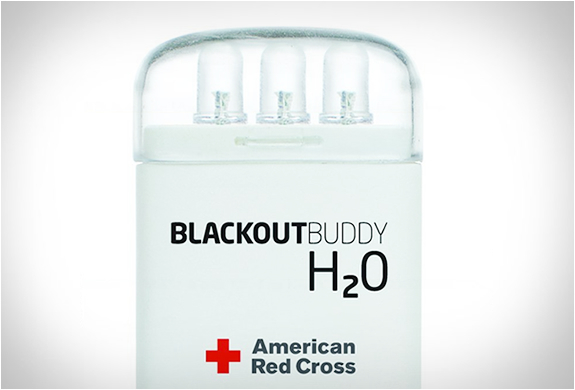 when it starts to dim, simply add more water. 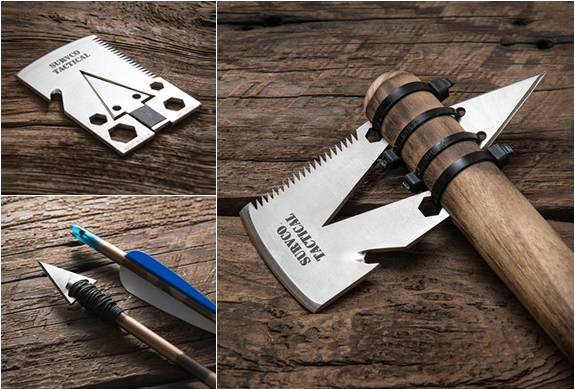 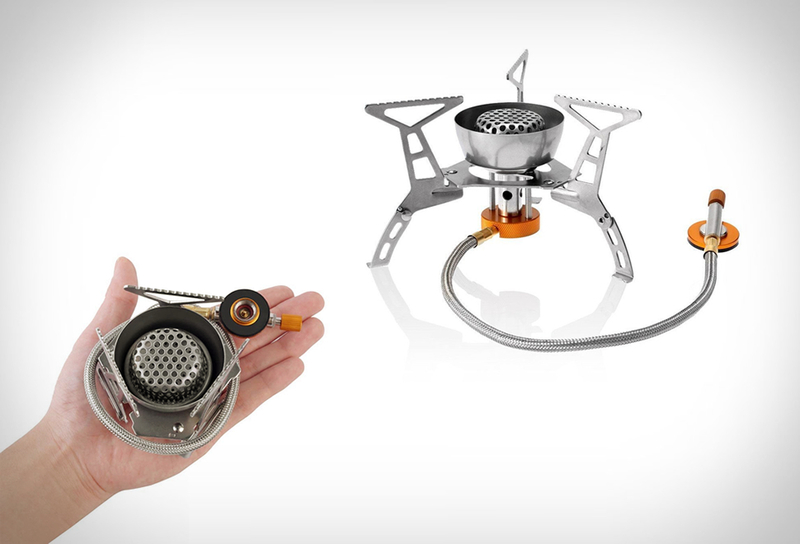 The eco-friendly, lightweight, and compact device is only about the size of a cigarette lighter and easy to stash in your backpack.